Mississippi Steamboat was used long before cars trucks and planes ever existed, rivers where used to transport people and goods. Steam-powered boarts were introducted in the United States after John Fitch was granted the U.S. patent for a steamboat in 1971. 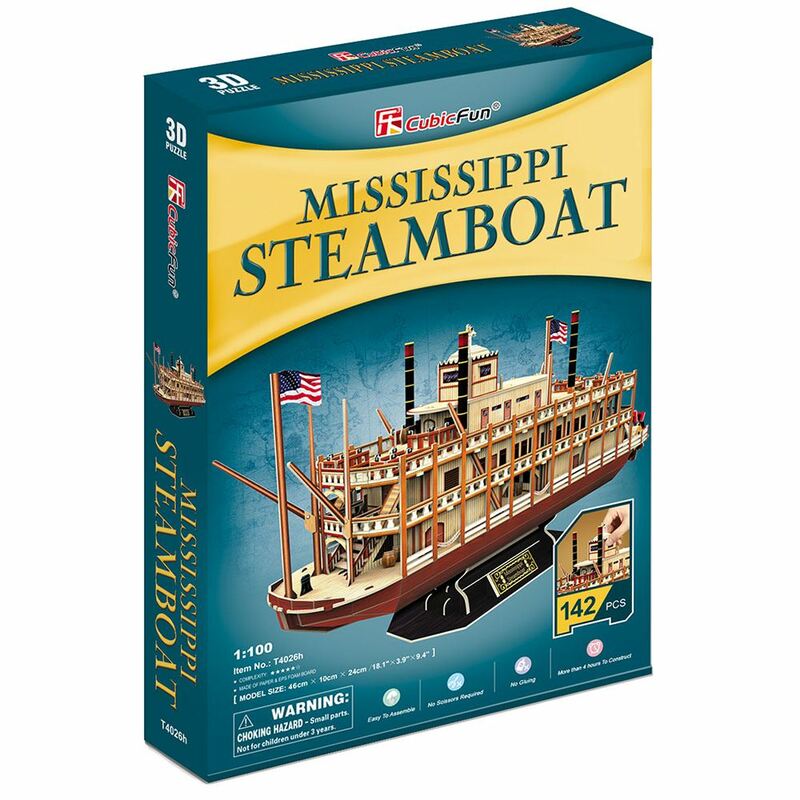 The invention quickly revolutionized river and trade along the Mississippi drainage basin. This 3D puzzle is made of paper and expandable polystyrene foam board, it is easy to assemble without the use of any tools or glue. No of Pieces: 142, Model size: 46cm x 10cm x 24cm. Age 8+ years.